Alexei Sidnev, CEO of Senior Group, Russia, revisits the commitment of his company to improve the situation of nursing home residents. 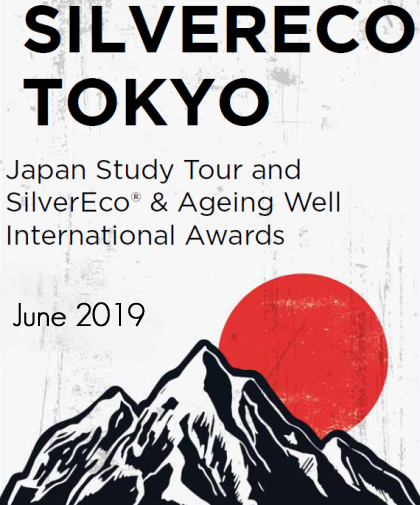 Read SilverEco.org Hiroyuki MURATA’s guest column, published in the latest issue of “L’Annuaire National de la Silver Economie”. Hiroyuki MURATA is the President of Murata Associates, Inc. and a Professor in Tohoku University. We’ve all seen ads on TV and in magazines: « Fifty is the new thirty » or « Sixty is the new forty. » Although that may sound like a nice sentiment, as someone over fifty, I don’t agree at all. Fifty is the new fifty – And I, for one, like the looks of it. For RoboCARE Lab, 2016 was about raising funds through the first French co-funding platform Hoolders, specialized in silver economy, healthcare and robotics. Those 110.000 euros will allow us, as a young startup, to anticipate this new 2017 year and to keep developing qualitative partnerships with the main actors of the silver economy market. Senior Citizen Mark: respect or stigmatization? Many people are still wondering about the abilities of the elderly to drive a car. In that regard, a quite interesting solution has come directly from Japan. Would the French culture be receptive to this solution? [Read more…] about Senior Citizen Mark: respect or stigmatization?